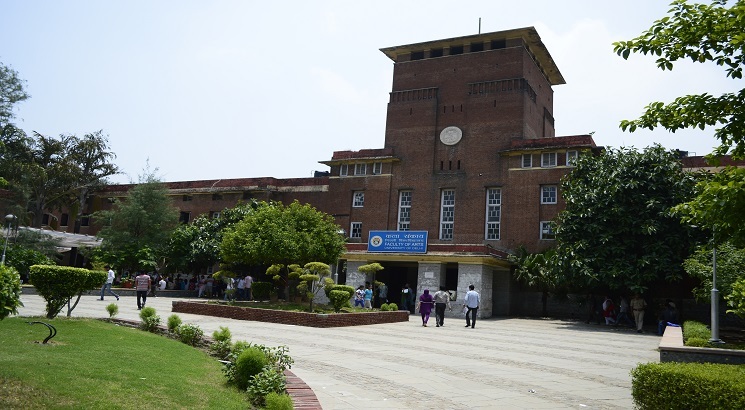 NEW DELHI, MARCH 19: The teachers of the University of Delhi (DU) have gone for a five-day strike, thereby paralyzing the academic activities at the University and affiliated colleges against the alleged assault on public funded universities by the Government. The teachers are miffed over the change in funding pattern of Higher Education institutions and have termed it as a deliberate move for privatization and commercialization of education. The teachers have alleged that there are widespread anger and resentment about the recent policy pronouncements of the Union Ministry of Human Resource Development (MHRD) that would inevitably lead to privatization and commercialization of public-funded education in the country, making it inaccessible to large sections of students. In particular, teachers are strongly opposed to the 30-70%. the funding formula, grants for infrastructural needs being replaced by loans through Higher Education Funding Agency (HEFA), the Tripartite MoU which according to teachers will require a steady increase in students’ fees, Graded Autonomy and the scheme of Autonomous Colleges. Teachers throughout the country have protested against the retrograde recommendations of the 2 November 2017 MHRD notification on 7th Pay Revision and the 9 March 2018 UGC Draft Regulations. The 5th March 2018 letter of the UGC marks a significant U-turn in the Reservation Policy of the government as it directs Universities to prepare rosters Department/Subject-wise. Teachers have also claimed that as a result of the new policy, there will not be adequate representation in teaching positions for SC/ST/OBC categories as per the Constitutional requirement of 15%, 7.5%, and 27% respectively. The Delhi University Teachers Association (DUTA) has demanded unconditional withdrawal of the UGC letter and that the Government files a review petition in court and that the issue is deliberated in the Parliamentary Standing Committee. “It is unfortunate that the appointments which should have been completed by now stand jeopardized because of this U-turn by the Government. The University must seek permission to complete this round of appointments on the basis of the advertisements as per the existing reservation roster,” it said. The DUTA has also been raising the demand for regularization/ absorption of temporary and ad-hoc teachers. The association has claimed that it is equally unfortunate that promotions have not taken place for long years in Delhi University and no effort is being made to resolve the issues of the counting of past service or the retrospective application of API/PBAS by the university. Grant of pensions has also been delayed beyond reasonable limits. “This uncertainty about appointments, promotions and pensions is deeply affecting the morale of teachers and the DUTA is compelled to take steps to make the university administration aware of the teachers’ anguish and distress,” it said.